The 10-cent-a-gallon gas tax increase will be phased in over three years, beginning with an increase of six cents later this year. 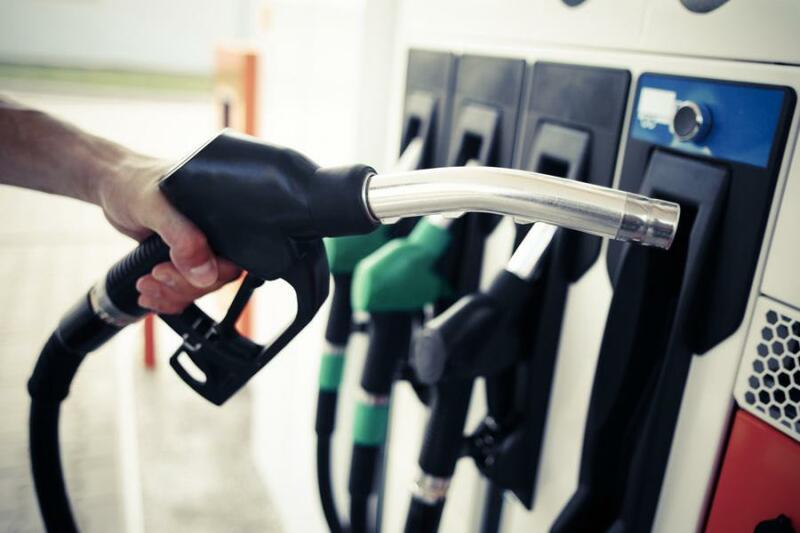 MONTGOMERY, Ala. (AP) Alabama drivers will see a 10-cent per gallon increase in the state gas tax to fund road and bridge construction under legislation signed into law March 12 by Alabama Gov. Kay Ivey. Calling it a historic day for the state of Alabama, Ivey signed the bill and related measures into law shortly after they won final approval in the Alabama Legislature. Ivey said lawmakers made a "bold statement that they are all in when it comes to investing in Alabama's future." "What the members of the Alabama Legislature have done today is to improve Alabama's infrastructure for generations to come," Ivey said in a bill-signing ceremony at the Alabama Capitol. The swift legislative approval was a political victory for Ivey, who called lawmakers into special session to consider the tax increase, and for Republican legislative leaders who also threw their support behind the bill. The 10-cent-a-gallon gas tax increase will be phased in over three years, beginning with an increase of six cents later this year. The state tax would then be adjusted up or down with the National Highway Construction Cost Index and could increase up to a penny every two years. The proposal would also place an annual $200 fee on electric vehicles and a $100 annual fee on hybrid vehicles. The bill also sets aside $11.7 million of the revenue to be used for a bond issue for improvements at the Port of Mobile. The Republican governor found broad support in the GOP-dominated legislature for raising the motor fuel tax to fund road and bridge construction. State senators approved the tax increase on a 28-6 vote. The state House of Representatives approved the bill, 83-20. Supporters said Alabama's current 18-cent gas tax has been unchanged since 1992, leaving the state without adequate funds to replace aging bridges and improve congested and dangerous roads. "We addressed this because it's the responsible thing to do. It's been 27 years since we had an increase in revenue. We had to do something," Senate President Pro Tempore Del Marsh, said after the vote. A Democratic senator who voted against the bill said the tax increase would be a burden on low-income drivers in a state where politicians have rejected Medicaid expansion, minimum wage increases and tax reform efforts. "I cannot with a clear conscience vote yes on this bill because of what it does to low-income people and people under the poverty level," said Sen. Vivian Davis Figures, a Democrat from Mobile. Senators tabled a proposed change by Sen. Dan Roberts, R-Birmingham, that would have created a $40 million pool for tax rebates for low-income motorists. Roberts also proposed to end any automatic increases through indexing in 2039. Roberts said he wanted to revisit the idea in the regular session. Despite the broad legislative support, the proposed gas tax increase has divided Republicans. The Alabama Republican Party Executive Committee approved a resolution opposing the measure. However, the Republican governor had the backing of GOP legislative leaders. Road building companies, county commissions, chambers of commerce and cities mounted a push for the legislation. Ivey made the infrastructure proposal one of her first initiatives after winning a full term in office in November. The governor called lawmakers into a special session to consider the gas tax increase. The proposal went before a Legislature with a large number of freshmen in a body that has often been resistant to tax increases. Marsh said he had cautioned legislative candidates that he met with, telling them infrastructure would be a "something we had to deal with."